Motor City Kubb is driven to promote kubb. One of the ways we do that is by hosting kubb-related events throughout Metro Detroit and Southeast Michigan. These gatherings include simple meet-ups at parks or backyards to play some friendlies, learn-to-play workshops, and (soon) kubb tournaments. Whether you're just curious about kubb or you have already discovered how great it is, Motor City Kubb is sure to have something for you. Check back often to see what we're up to. Kubb isn't limited to just Motor City Kubb. 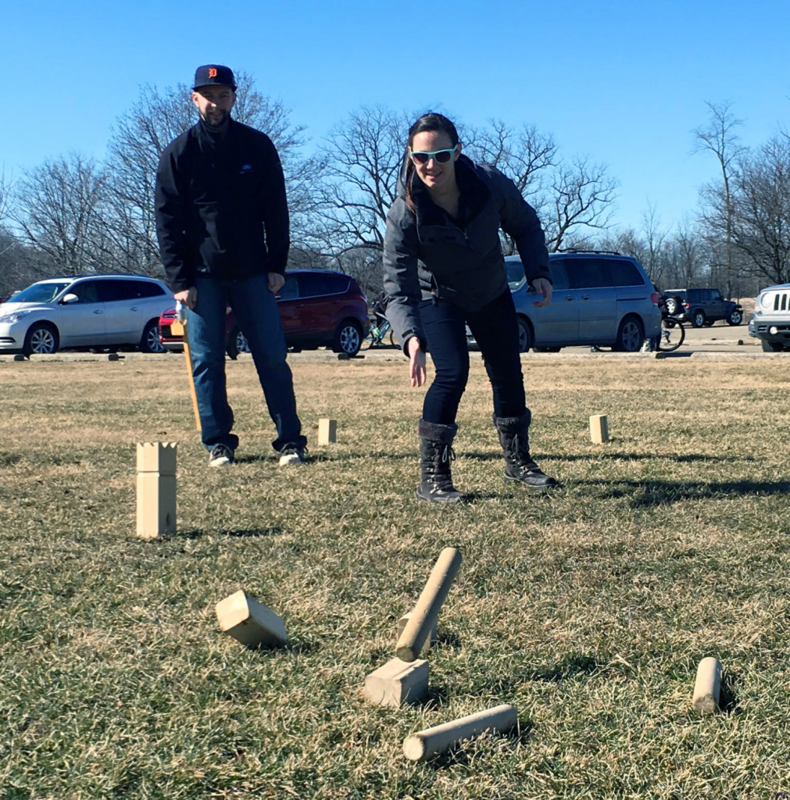 There are plenty of great opportunities to engage in the kubb community outside of our club. Check out Kubb United's tournament calendar.